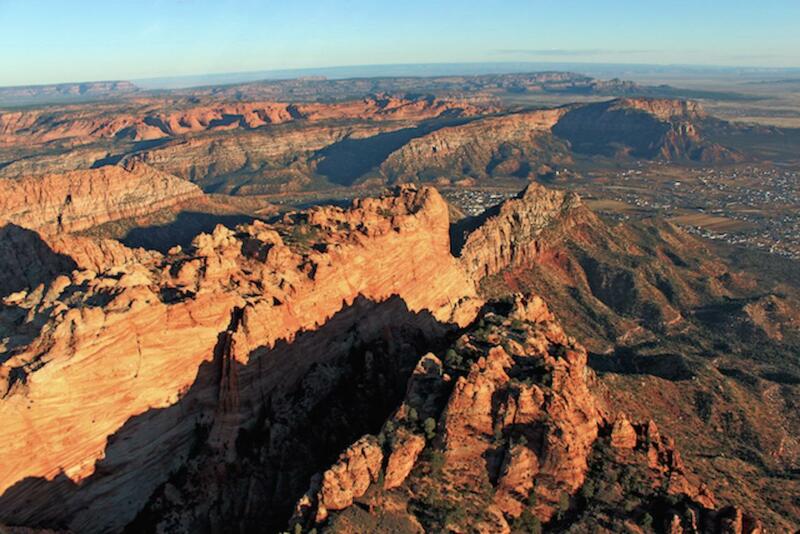 Zoom North East over the Virgin River and Red Cliff Desert Reserve to the breathtaking views of Smith Mesa and Hurricane Mesa on your way to the infamous Zion National Park. Followed by the similar terrain of the Canaan Mountain Wilderness Area. Keep an eye out for the Desert Big Horn Sheep on this tour!